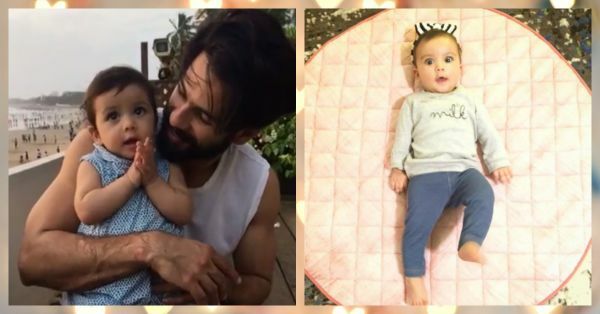 7 Pics Of Shahid & Mira’s Baby That’ll Make You Go ‘Aww’! Shahid Kapoor and Mira Rajput’s baby girl, Misha has taken over our timelines. The little munchkin is already a star - people love her and we do too. Ever since Shahid joined the dad’s club, he’s been posting pictures of his daughter on his Instagram account. They’re SO adorable that we couldn’t help but share them with you all. Here’s the cutest baby in B-town! 2. She has the prettiest eyes! 5. This is the most adorable video we’ve ever watched! 6. This one’s just beautiful… Also, look at those cheeks! 7. Having fun time with Daddy!